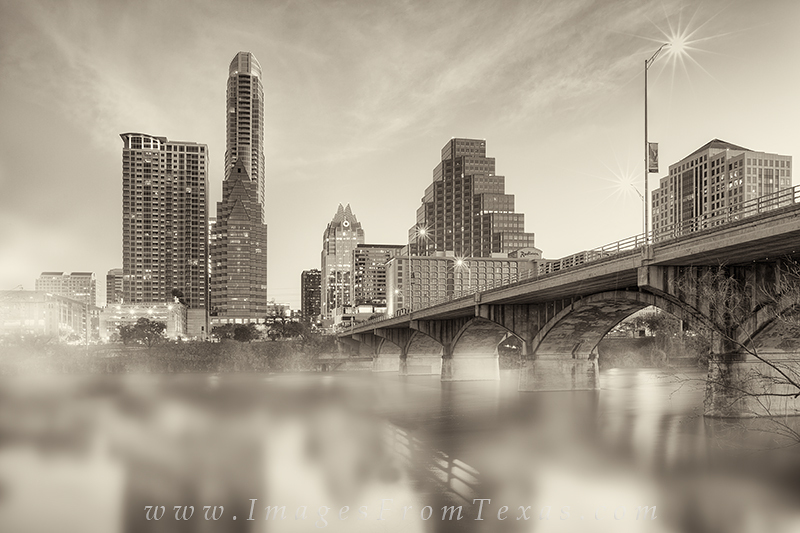 Surrounded by scrub, I wiggled my way through the brush and captured a few images of fog coming off Lady Bird Lake with the downtown cityscape in the background. It was cold this late January morning, but the sky and water made the effort worth it. Photo © copyright by Rob Greebon.